to recognize and support young European astronomers. for pioneering contributions to exoplanetary science, particularly in advancing the frontiers of atmospheric characterisation of exoplanets. Nikku Madhusudhan is a Reader in Astrophysics and Exoplanetary Science at the Institute of Astronomy of the University of Cambridge. He pursued his undergraduate studies in Engineering at the Indian Institute of Technology, Banaras Hindu University, India. He moved to the Massachusetts Institute of Technology (MIT) where he obtained a master degree in engineering in 2004 and a PhD in Physics (astrophysics) in 2009. He then pursued postdoctoral research at MIT (2009-2010), Princeton University (2010-2011), and Yale University (2012-2013) where he was the Yale Center for Astronomy and Astrophysics Prize Postdoctoral Fellow. In October 2013, he joined the University of Cambridge as Lecturer, and was promoted in 2017 to Reader. He was awarded the prestigious Bappu Gold Medal in Astrophysics for 2014 by the Astronomical Society of India and the 2016 Young Scientist Medal of the International Union of Pure and Applied Physics Commission on Astrophysics. His research interests span a wide range of theoretical topics in exoplanetary science, including exoplanetary atmospheres, interiors, and planetary formation. Nikku Madhusudhan has made pioneering contributions to exoplanetary science which include precise chemical characterization of exoplanetary atmospheres, detailed studies of atmospheric and interior processes, and using exoplanetary compositions as tracers of their formation mechanisms. His work has led to several new insights into exoplanetary atmospheres, including constraints on non-equilibrium chemistry, temperature inversions, molecular abundances, and C/O ratios. His recent studies have led to major advances in exoplanetary science in three frontier areas: (1) high-precision chemical characterisation of exoplanetary atmospheres using state-of-the-art observations, (2) detailed constraints on exoplanetary atmospheric processes, and (3) new approaches to constrain exoplanetary formation and migration pathways using their atmospheric abundances. 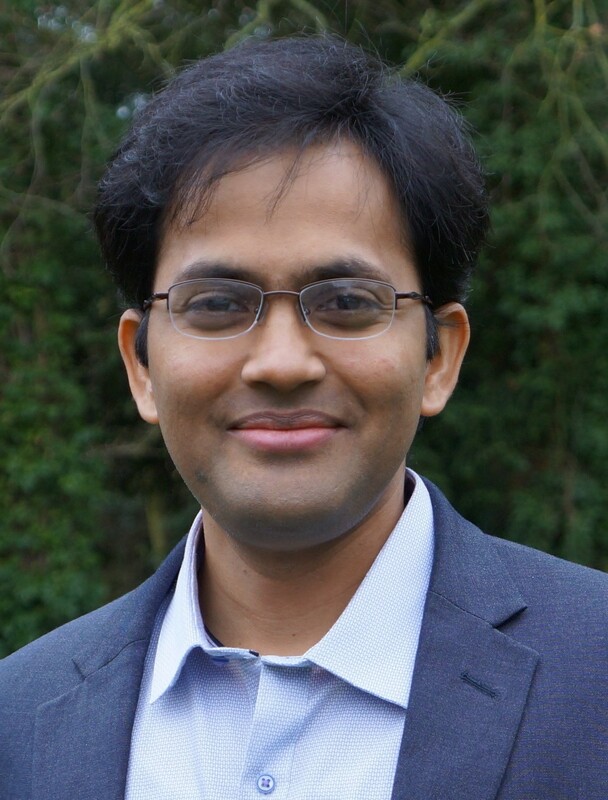 The pioneering work by Nikku Madhusudhan in the last five years (2014-2018) was conducted at the University of Cambridge, United Kingdom. Prior to 2014, his seminal research was carried out in the USA. for investigations of the Transient Radio Sky and the discovery of the second Lorimer burst, now known as Fast Radio Bursts. Evan Keane did his undergraduate studies at the National University of Ireland, Galway, before undertaking a Masters as a scholarship student at Trinity College at the University of Cambridge. He then did his PhD at the Jodrell Bank Centre for Astrophysics in the University of Manchester. His thesis won the Springer Thesis Prize. He then worked as a postdoctoral researcher at the Max Planck Institut für Radioastronomie in Bonn and later as Senior Postdoctoral Fellow and Dynamic Theme Scientist for CAASTRO (Australian Research Council?s Centre of Excellence for All-Sky Astrophysics) at the Swinburne University of Technology. Since 2015 he is Project Scientist for the SKA Organisation. His research focuses on searching for radio transients and using them to understand fundamental questions of physics. He has discovered numerous pulsars and rotating radio transients and in 2011 discovered the second "Lorimer burst", events now known as "fast radio bursts" (FRBs). His current role involves ensuring the SKA will achieve all its scientific objectives in transient, pulsar, VLBI, solar and cosmic ray science. Evan Keane has made significant contributions to developing and improving techniques to discover new pulsars, and determined timing solutions for challenging pulsars. He was part of the team that discovered the first Galactic Centre radio pulsar. Evan did the first systematic analysis of all known fast radio bursts, precipitating the Fast Radio Burst Catalogue (FRBCAT). 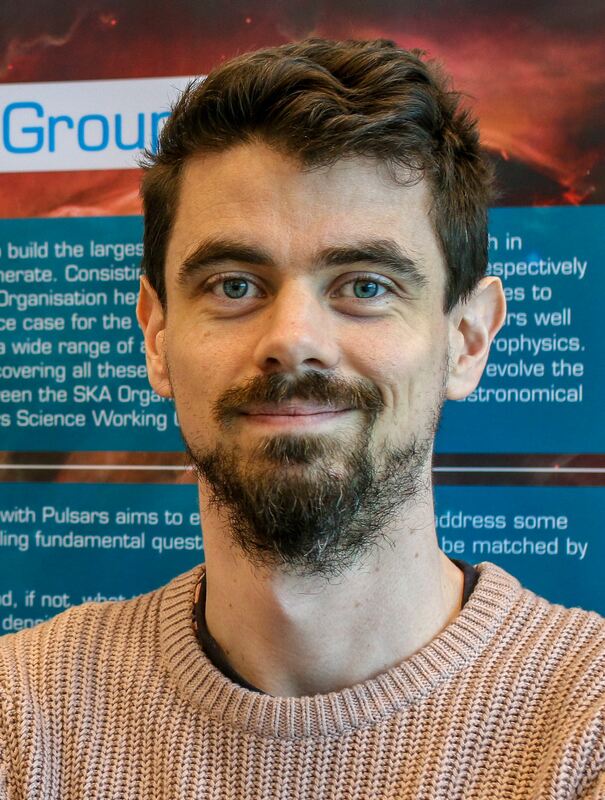 Evan leads the Survey for Pulsars and Extragalactic Radio Bursts (SUPERB) project, a large-scale real-time accelerated pulsar and fast transient search programme with the Parkes telescope in Australia. Evan Keane led the main SKA science case chapter for pulsars, describing the pulsar search yield, optimal search strategies and the science questions that can be addressed by the SKA, such as tests of General Relativity and alternative theories of gravity, gravitational wave astronomy with pulsar timing arrays and physics at super-nuclear density within neutron star interiors using pulsar timing. This work has been conducted at the Square Kilometer Array Organisation, United Kingdom, and at the Max Planck Institut für Radioastronomie, Germany and Swinburne University of Technology, Australia. for pioneering contributions to understanding the role of neutrinos in astronomy and astrophysics. for the study of the imprint of the large-scale structure of the Universe on galaxy formation and cosmology. Sandrine Codis' PhD thesis focused on the theoretical understanding and modelling of the large-cale structure of the Universe. 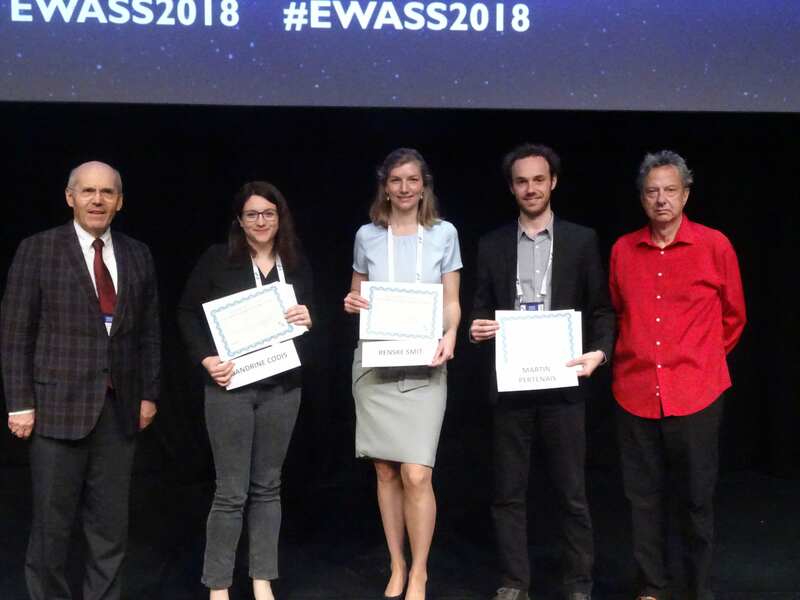 She was particularly interested in addressing some of the challenges that the field of large-scale structure studies needs to overcome to extract the marrow of the gigantic precision datasets that will be produced by future galaxy surveys like ESA's cornerstone Euclid mission and LSST. She successfully developed innovative tools to probe (from first principles) the non-linear regime of structure formation and tackle systematic effects such as redshift space distortion and intrinsic alignment of galaxies which compromise high precision large-scale structure measurements. For that purpose, she developed new mathematical models and was involved in the post-processing and scientific analysis of massive N-body and hydrodynamical simulations. Her publications are already references in the field and span a wide range of topics from cosmology to galaxy formation. The quality of her thesis was recently honoured as the best PhD in astronomy by the Société Française d'Astronomie et d'Astrophysique. for the observational characterisation of the physical properties of the galaxies that formed in the first billion years of cosmic time. Renske Smit earned her undergraduate and PhD degrees at Leiden University in the Netherlands. During her master thesis she secured a scholarship to pursue part of her degree at the University of California, Berkeley. For her PhD she conducted research into the formation and evolution of the first galaxies using cutting-edge observational facilities. She then began her postdoctoral career at the Centre for Extragalactic Astronomy at Durham University. In 2016 she was awarded a Rubicon grant by the Netherlands Organisation for Scientific Research (NWO) based on her thesis work. She is currently working as an independent research fellow at the Kavli Institute for Cosmology at the University of Cambridge, UK. 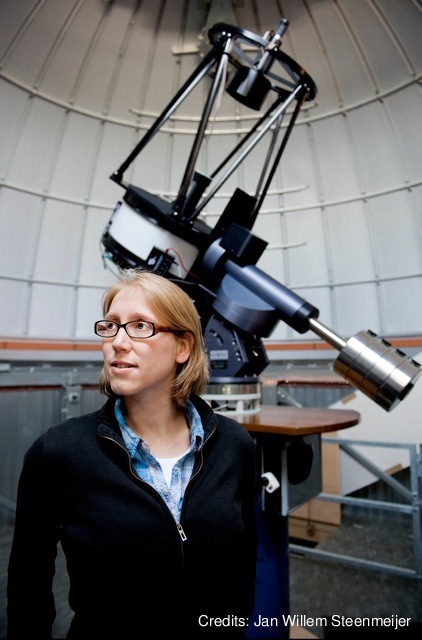 Renske Smit's doctoral research focused on the study of very distant galaxies, seen in the first few billion years of cosmic history, using the Hubble and Spitzer Space Telescopes. Her studies were among the first to obtain genuine insight into the physical conditions of these galaxies, paving the way for detailed follow-up studies with ground-based instrumentation. Her research established that emission lines associated with the formation of massive, young stars often dominate the broadband flux of distant galaxies. This work resolved a major discord between observations and theoretical models of the evolution of galaxies in the early Universe. Renske Smit's innovative work also enabled her to identify new galaxies in the Epoch of Reionisation; spectroscopic follow-up of these sources with the Atacama Large Millimeter Array allowed her to obtain the first measurement of velocity structure in galaxies at this early epoch. She participated in efforts to detect even more distant (z≈8-9) galaxies, spectroscopic follow-up of which yielded spectacular confirmation of their redshifts via the Lyman- alpha emission line, breaking two consecutive records for the most-distant galaxy known to science. As a member of the NIRSpec Guaranteed Time Observations (GTO) Galaxy Assembly team, Renske Smit is now preparing for the forthcoming revolution promised by the launch of the James Webb Space Telescope. The PhD thesis of Renske Smit was conducted at the University of Leiden, under the supervision of Dr. Rychard Bouwens. for a PhD thesis on cutting-edge concepts of compact polychromatic spectropolarimeters adapted to astrophysical space mission requirements in the UV domain. Martin Pertenais has obtained an optical engineer degree from the prestigious Engineer School Institut d'Optique Graduate School (IOGS) in Paris and a Master in photonics from the University of Jena. He then undertook a PhD thesis in instrumentation for astrophysics at the Institut de Recherche en Astrophysique et Planétologie in Toulouse and at the Paris Observatory on "Stellar UV and Visible spectropolarimetry from space". This allowed him in particular to successfully lead the Arago Payload consortium and to innovate in new technologies for spectropolarimetry. After his PhD thesis, he moved on a position at DLR as the Optical System Engineer for PLATO. In parallel, he keeps working on new spectropolarimeter designs and co-supervises a PhD student on this topic for the NASA mission LUVOIR. The goal of Martin Pertenais' PhD thesis was to find innovative concepts of spectropolarimeters, to build the first ever space mission equipped with a high-resolution spectropolarimeter working on a wide wavelength range including the UV domain. In Toulouse, he performed theoretical calculations and simulations for two different original concepts of polarimeters that he formulated. The first one is an inventive static polarimeter using birefringent wedges as polarisation spatial modulator. The second concept used a classical rotating polarimeter, albeit optimised to get constant efficiencies for the extraction of the Stokes parameters from 123 to 888 nm. The result is an ingenious very compact polarimeter working with the same polarimetric efficiency over a very large spectral range, including the UV. While in Paris Martin Pertenais created prototypes of both concepts to demonstrate experimentally his very encouraging theoretical results. He built and tested both prototypes, which showed excellent experimental results, increasing the Technology Readiness Level for these innovative technologies. Martin Pertenais also tested one of the two prototypes on the sky on real stars. In October 2015 he received the "Young Researcher Award" granted by the French CNES agency. Martin Pertenais was an essential member of the core team of the Arago international space mission project, a M4 and M5 ESA candidate mission. The PhD thesis of Martin Pertenais was conducted at the Institut de Recherche en Astrophysique et Planétologie in Toulouse and at the Paris Observatory in Meudon, with a degree delivered by the Université Toulouse 3 Paul Sabatier, under the supervision of Coralie Neiner and Pascal Petit. for her major contributions to our understanding of the role of binarity as one of the dominant physical parameters for massive stars. for his groundbreaking work on the galaxy/black hole connection and innovative use of citizen science in astrophysics. Kevin Schawinski was a graduate student at Oxford University from 2004-2008 during which time he co-founded the Galaxy Zoo citizen science project. 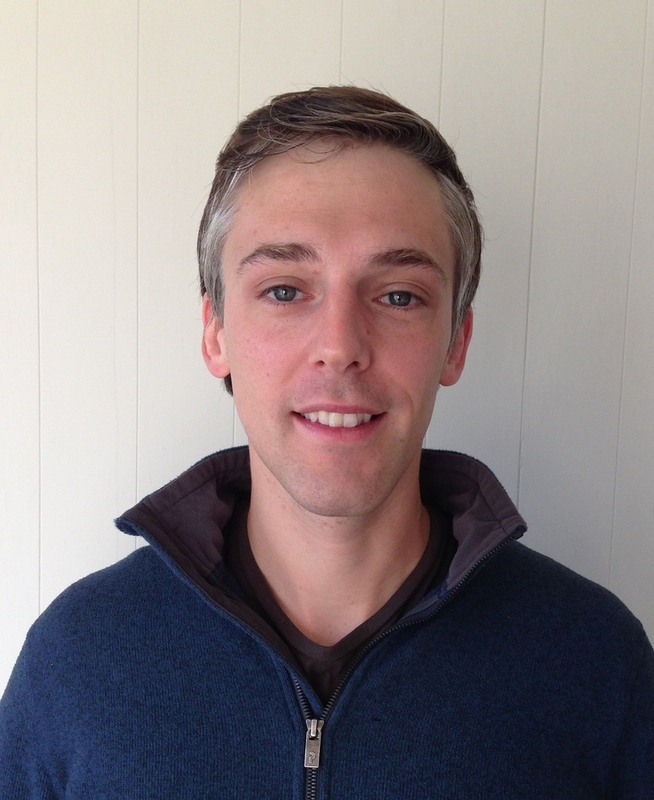 For his thesis on the role of black holes in the quenching of star formation in early-type galaxies, Kevin received the Royal Astronomical Society's Michael Penston prize for the best thesis in astronomy in the UK. He remained in Oxford for several months as the Henry Skynner Junior Research Fellow at Balliol College, Oxford before moving to Prof. C. Megan Urry's group at Yale University. He was awarded a NASA Einstein Fellowship and remained at Yale until 2012, working with the latest deep field observations from the Hubble, XMM-Newton and Chandra space telescopes. 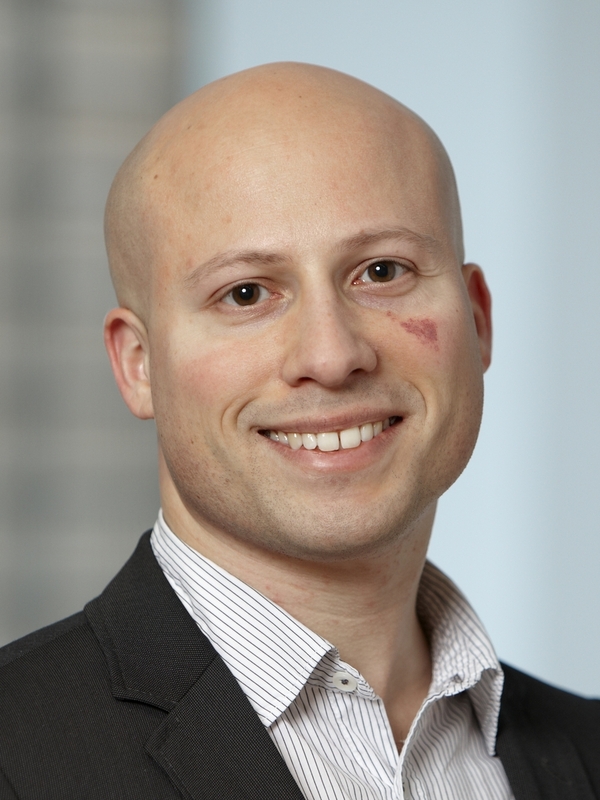 He moved to ETH Zurich in Switzerland as an Assistant Professor with a Swiss National Fund professorship grant where he now leads the black hole astrophysics group. He is strongly engaged in citizen science, recruiting large numbers of people from the general public to engage with science. Kevin Schawinski has made major advances in the observational understanding of the feedback exerted on a galaxy by outflows from an active, super-massive back hole at its centre. He also used stellar evolution to build phenomenological models of galaxy evolution. Using stars as "cosmic clocks", he constrained the phases in the evolution of galaxies during which their central black holes become active as quasars. He showed using observations that while many disk galaxies – like our Milky Way – cease their star formation activity very slowly over billions of years, some galaxies whose morphology was transformed by a major galaxy merger to an elliptical shape shut down their star formation very quickly. The most plausible cause for this sudden end of star formation is that a very brief active phase by the black hole destroys the gas reservoir used as fuel for star formation. As a co-founder of the Galaxy Zoo project he involved several hundred thousand citizen scientists to classify nearly a million galaxies from the Sloan Digital Sky Survey. The discovery of the famous "Hanny's Voorwerp" by a Dutch school teacher taking part in Galaxy Zoo became a prototypical system for quasar ionisation echoes tracing the past energetic output of central black holes. Kevin Schawinski showed that such echoes limit the duration of a typical quasar phase to only a few hundred thousand years. 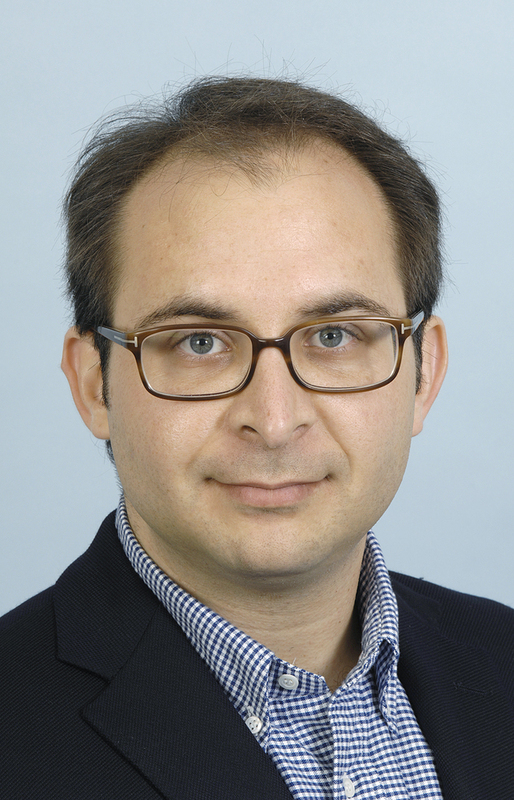 The work of Kevin Schawinski has been conducted at Oxford University in the United Kingdom (2004-2008), Yale University (2008-2012) and ETH Zurich in Switzerland (2012-2016). for his unique and pioneering work on innovative astronomical instrumentation, based on active systems, freeform optics and curved focal planes. Group picture taken at EWASS 2017 in Prague, Czech Republic marking the 5-year jubilee of the MERAC Prizes. The laureates are surrounded by George Lake (far left), Jean-Marie Louzier (left), and Carl Stadelhofer (right) all from the FONDATION MERAC, together with the EAS President, Thierry Courvoisier (far right). for her thesis on radiative instabilities and particle acceleration in high-energy plasmas with applications to relativistic jets of active galactic nuclei and gamma-ray bursts. 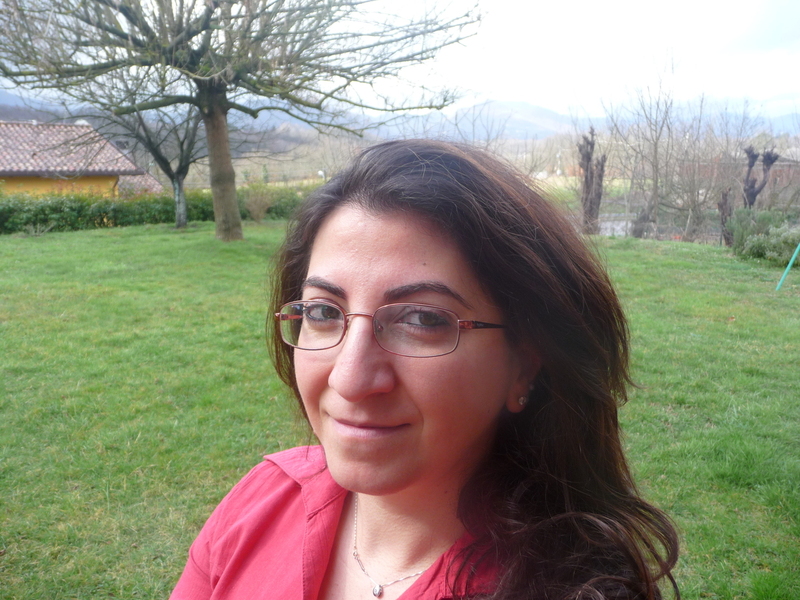 Maria Petropoulou received her Bachelor Degree in Physics (2008), Master Diploma in Astrophysics (2010) as well as her PhD Degree in Physics (2013) from the National and Kapodistrian University of Athens, Greece. Her PhD project was funded by a co-financed European-Greek Grant (HERACLEITUS II). 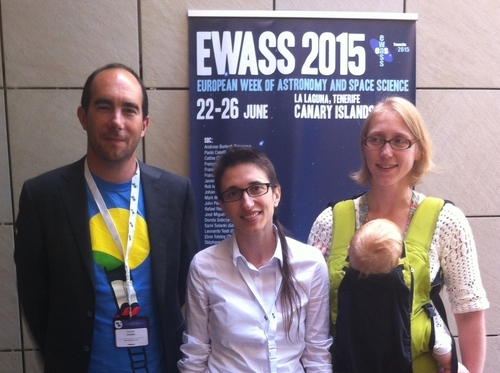 She has been awarded the "Best PhD Thesis Prize 2015" from the Hellenic Astronomical Society. Just before her PhD Thesis defence, she has been awarded the NASA Einstein Fellowship for Post Doctoral research (2013-2016) on the subject of "High energy radiation, neutrino and cosmic ray production from relativistic outflows". She has published 20 articles in refereed journals, which reflect her research interests in emission processes and neutrino production from active galactic nuclei and gamma-ray bursts. She is now a Post Doctoral Einstein Fellow at Purdue University, West Lafayette, USA. 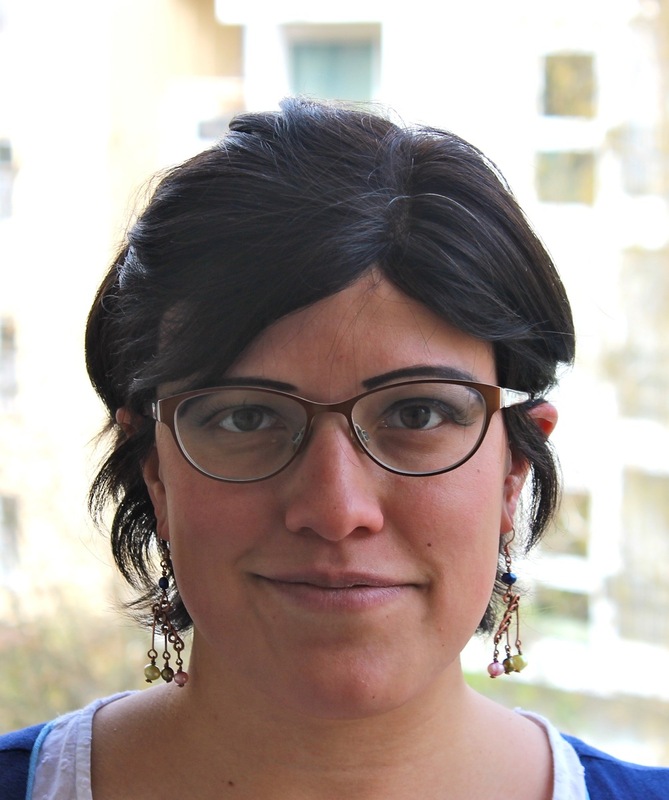 Maria Petropoulou's PhD thesis has a main focus on the theoretical study of plasma properties in compact energetic sources such as Active Galactic Nuclei (AGNs) and Gamma Ray Bursts (GRBs). Such extremely luminous sources in remote galaxies emit gamma-rays originating in a relativistic jet powered by a black hole. While most studies consider only the electrons in the jet and neglect the influence of the protons, Maria Petropoulou developed equations for a full treatment of plasmas containing magnetic field, relativistic protons and electrons, and photons. She then solved these equations via both numerical and analytical methods to describe the radiative instabilities in the ejected plasmas, which exhibit a rich temporal behaviour of prey-predator type. As a final step, she confronted her model to observations of the archetypical gamma-ray emitting blazar 3C 279. A theoretical study of the spectral and timing emission of GRB afterglows complements her PhD work. The PhD thesis of Maria Petropoulou was entirely conducted at the University of Athens, Greece, under the supervision of Prof. Apostolos Mastichiadis. for his thesis on the simplicity of the evolving galaxy population and the origin of the Schechter form of the galaxy stellar mass function. Yingjie Peng is born in the Sichuan province in the southwest of China, near Tibet. Being ranked first in his city in the national evaluation, he	was admitted by Beijing Normal University to study astrophysics as an undergraduate student. During this study, he spent one year in Tokyo Gakugei University in Japan to study Japanese history and culture. From 2005 to 2007, he was awarded the prestigious Erasmus Mundus Fellowship from European Commission to join the double-master degree program, studying Space Technology at Julius Maximilian University of Würzburg in Germany, Luleå University of Technology in Sweden, and astrophysics at the university Paul Sabatier Toulouse III in France. Then he joined the PhD program in observational cosmology at ETH Zurich in 2007 under the supervision of Prof. Simon Lilly, and obtained his PhD in 2013. 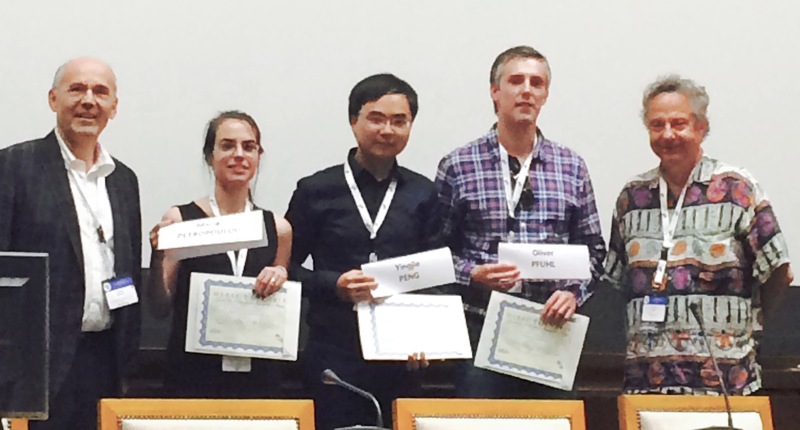 He was awarded the ETH Medal for his outstanding PhD Thesis. He then moved to the UK as a research associate at Cavendish Laboratory, University of Cambridge and was awarded the prestigious Royal Astronomical Society Research Fellowship in 2015 for his high-impact research in observational cosmology. In October 2015, he moved from Cambridge to Beijing, China, joining the Kavli Institute for Astronomy and Astrophysics at Peking University, as a tenure-track Assistant Professor. 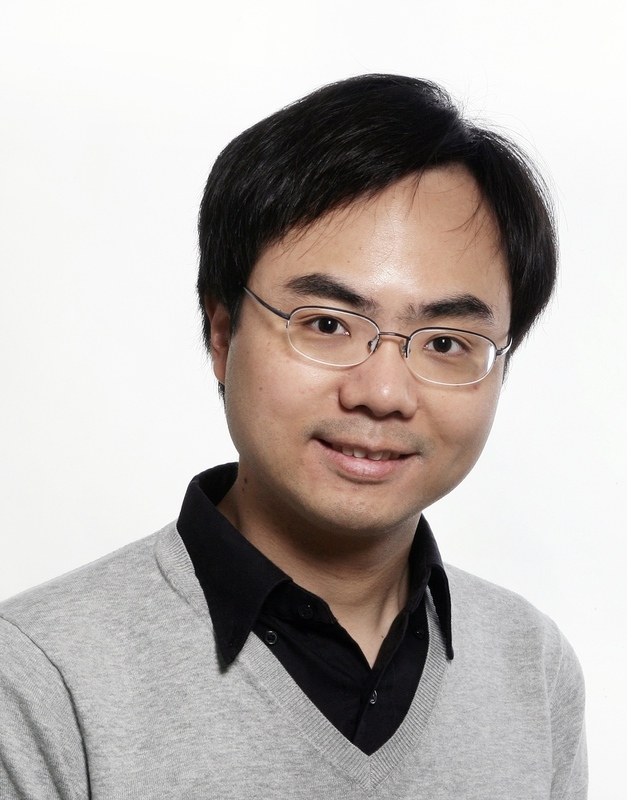 Yingjie Peng's PhD thesis focused on the analysis of high quality data from large sky surveys both locally and at high redshift, and introduced a novel phenomenological, observationally-based approach to study the formation and evolution of the galaxy population. The goal was to use the observational material as directly as possible in order to identify the simplest empirical "laws" for the evolution of the population. This approach has successfully explained the origin of the Schechter form of the stellar mass function and reproduced many observed essential features of the evolving galaxy population over cosmic time. The associated papers (Peng et al. 2010 & 2012) describing this simple and innovative approach have become some of the most highly cited papers in galaxy formation and evolution. The PhD thesis of Yingjie Peng was carried out at the Institute for Astronomy at ETH Zurich, Switzerland between October 2007 and September 2012, under the supervision of Prof. Simon Lilly. for his thesis on an innovative design of two subsystems for the VLTI instrument GRAVITY: the fibre coupler and the guiding system. Oliver Pfuhl started his PhD in 2008 on the GRAVITY project and contributed to the overall design of this new VLTI instrument. He developed two key-components, the fibre coupler and the guiding system, which are key for enabling waveguide based stellar interferometry and for achieving the required astrometric accuracy and stability. The fibre coupler he designed is unique for its compactness, elegance, and innovative use of modern technology. The unit offers all the functions necessary for precision control of the optical path, including tip/tilt-, pupil-, and piston control, field de-rotation, and polarisation control. He also made an innovative design for the guiding system, which actively corrects for tilt- and pupil errors resulting from numerous reflections over 100m of optical path between the telescopes and the instrument. 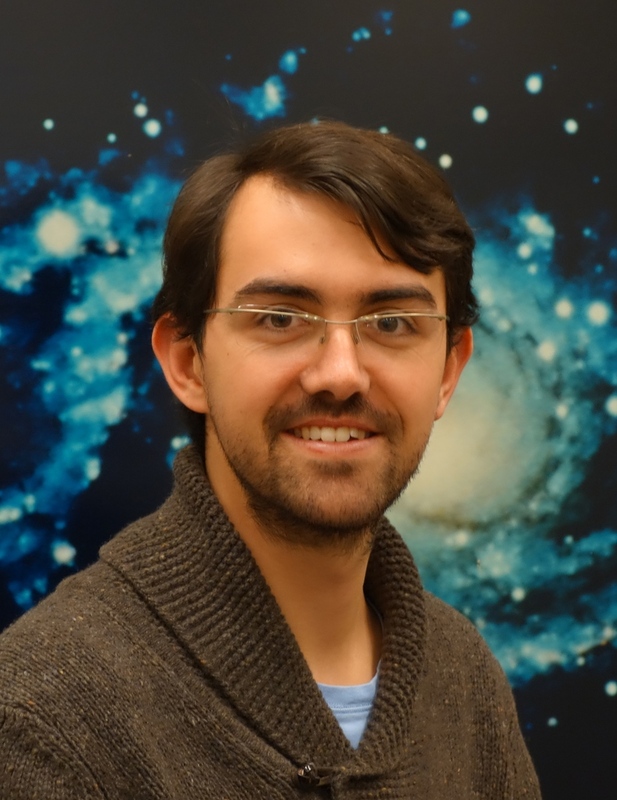 The astrophysical part of Oliver Pfuhl's thesis is a spectroscopic study of more than 500 stars in the nuclear star cluster at the Galactic centre, which shows that this cluster formed most of its stars more than 5 billion years ago. The PhD thesis of Oliver Pfuhl was carried out under the Supervision of Prof. Reinhard Genzel and Dr. Frank Eisenhauer at the Max-Planck-Institute for extraterrestrial Physics, Garching, Germany, and the Ludwig-Maximilian University, Munich, Germany. Group picture taken at EWASS 2016 in Athens, Greece. The MERAC prize laureates are surrounded by Georges Meylan, chair of the prize committee (left) and George Lake representing the FONDATION MERAC (right). for her theoretical and computational contributions to the dynamics of star clusters and galaxies, the reionization epoch, the Galactic centre, and the formation of massive stellar black holes. 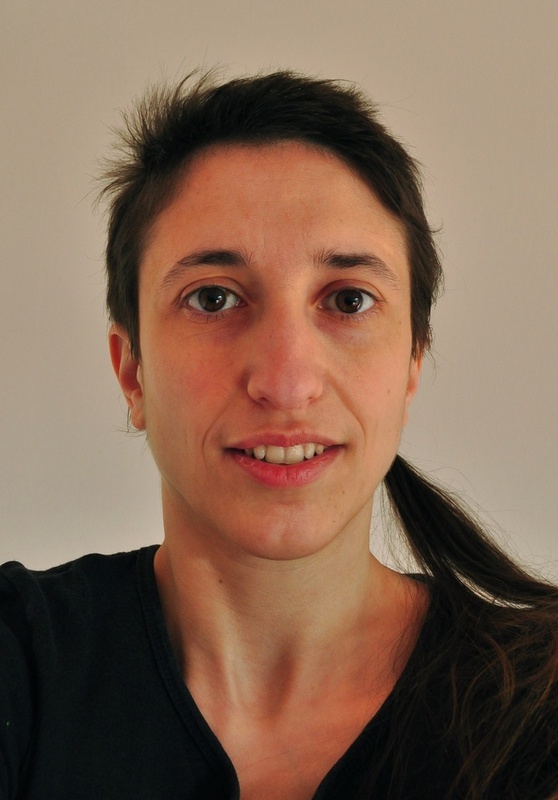 Michela Mapelli studied Physics at the University of Milano Bicocca (1998-2002), where she received her Master degree in February 2003, with a Thesis on 'Four-body interactions in globular clusters'. 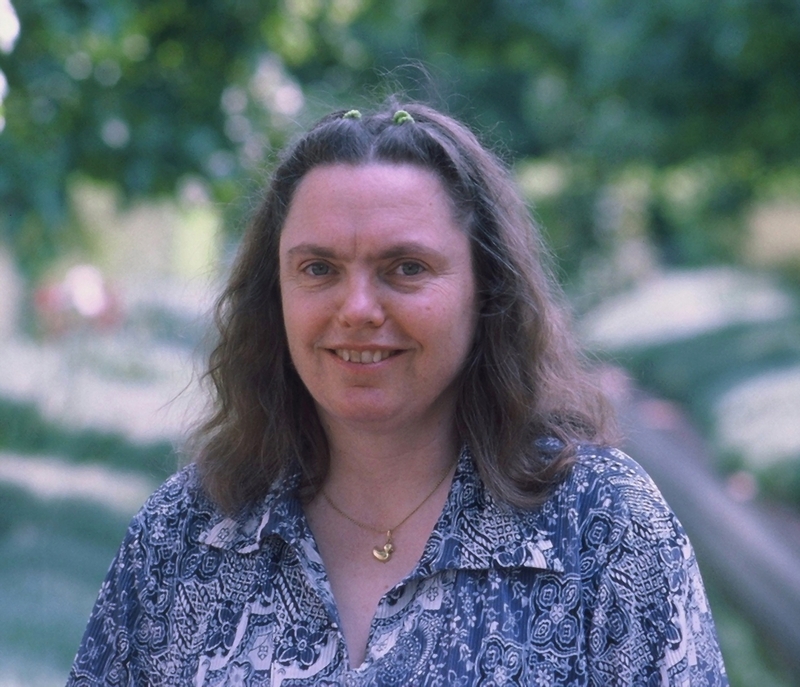 In October 2006, she received her PhD at SISSA, with a Thesis on 'Relic signatures of reionization sources', for which she was awarded both the Gratton Prize 2007 and the Tacchini prize 2007. In 2007, she became postdoctoral fellow at the Institute for Theoretical Physics of the University of Zurich, Switzerland, where she studied the formation of giant low-surface brightness galaxies. She was awarded there the prestigious 'Forschungskredit' fellowship in 2008 before receiving an independent postdoctoral fellowship at the University of Milano Bicocca in 2009. In August 2011, she started a permanent research position at INAF - Padova Astronomical Observatory, where she created her independent research team. 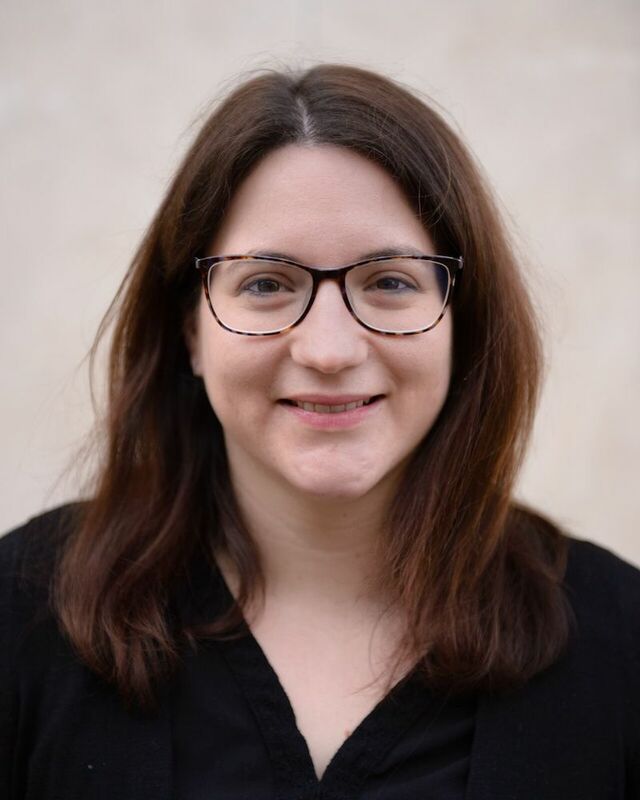 Michela Mapelli's main scientific achievements of the last five years are her studies on the formation of massive stellar black holes from the collapse of metal-poor stars and her contribution to understanding star formation in the Galactic centre. In 2009, she proposed that black holes of more than 20 and up to 80 solar masses can form in the local universe from the direct collapse of metal-poor stars. This can explain why ultra-luminous X-ray sources (ULXs) occur more frequently in galaxies of low-metallicity, with considerable implications for high-energy astrophysics and the search of gravitational waves. In 2012, she simulated the disruption of a molecular cloud by the tidal shear of the super-massive black hole in the Galactic centre and showed that a gaseous disc forms and then fragments into proto-stellar clumps, thus explaining the presence of young, massive stars at the centre of our Galaxy. The work of Michela Mapelli has been conducted entirely in Europe. 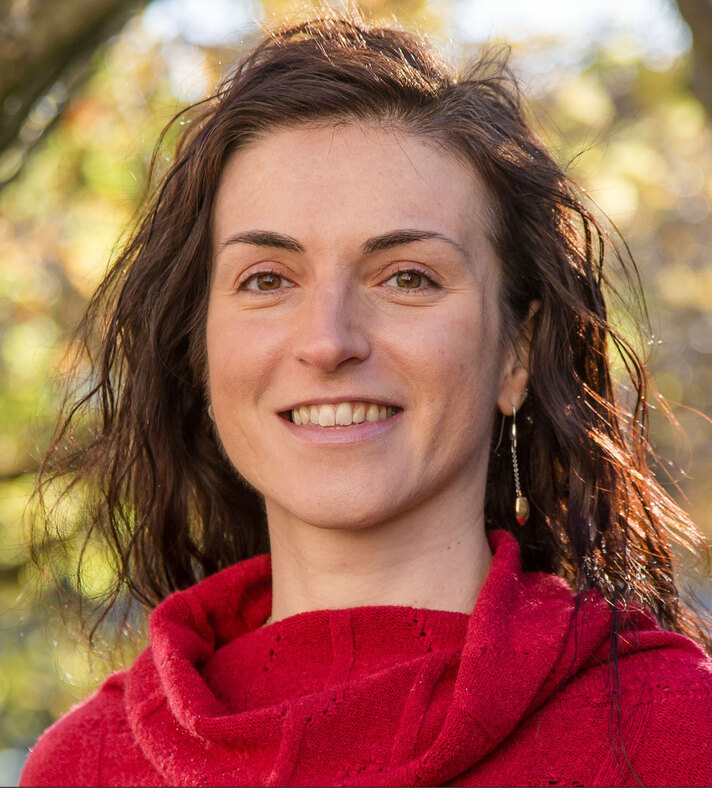 After graduating in 2006 at SISSA (Trieste), she developed the model of massive stellar black holes during the post-doctoral fellowship at the University of Zurich, Switzerland, and then at the University of Milano Bicocca, Milan, Italy (2009-2011). Since 2011 she is Researcher at INAF - Padova Astronomical Observatory, Italy, where she has continued investigating massive stellar black holes, and started working on the Galactic centre. for her ground-breaking contributions to the understanding of the internal structure of red-giant stars based on stellar oscillations measured by the CoRoT and Kepler satellites. 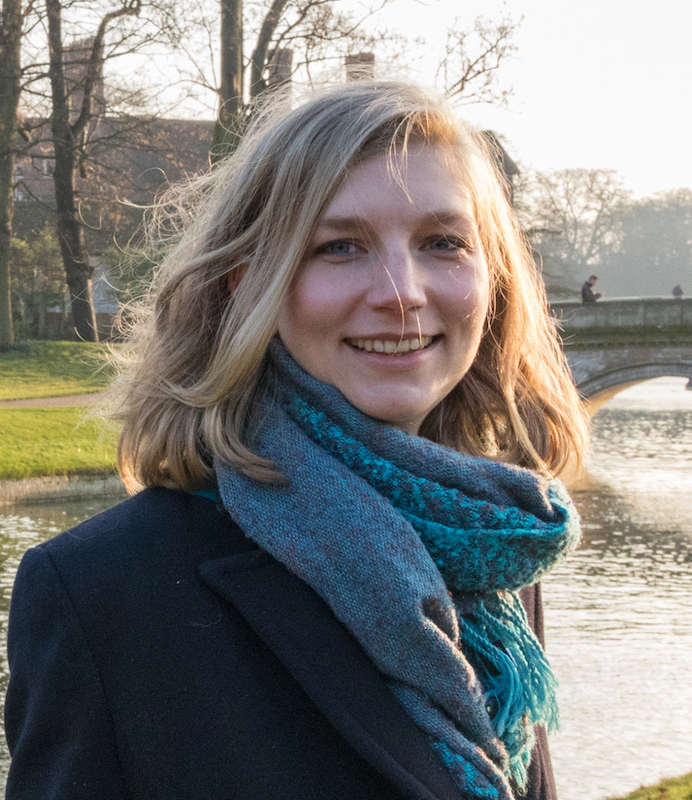 After receiving her PhD from the University of Leiden in the Netherlands in Sept. 2007, Saskia Hekker worked at the Royal Observatory of Belgium and the University of Birmingham. In 2011 she was awarded a personal 3-year Veni Fellowship from the Netherlands Organization for Scientific Research to conduct research at the Astronomical Institute 'Anton Pannekoek', University of Amsterdam. Since September 2013, she works in Göttingen at the Max Planck Institute for Solar System Research (MPS). In 2013 she obtained a European Research Council (ERC) Starting Grant to determine Stellar Ages through asteroseismology. In 2014, she was awarded a Max Planck Independent Research Group focusing on 'Asteroseismology and Galactic Evolution', which is an international node of the 'Stellar Astrophysics Centre', a Centre of excellence in research of the Sun, Stars and Extra-solar planets. Her career path and mobility is outstanding, particularly since Saskia is also a mother. Saskia Hekker announced, already during her PhD, non-expected, non-radial oscillations in red-giant stars which she then confirmed using data of the CoRoT satellite. She was also heavily involved in the discovery, identification, and analysis of mixed oscillation modes, which allow to probe the core region of the stars, in particular to disentangle hydrogen-shell- from helium-core- burning red giants. She discovered the first red giant in an eclipsing binary and developed methods to determine global asteroseismic parameters, which she then applied to Kepler data of planet-hosting stars. 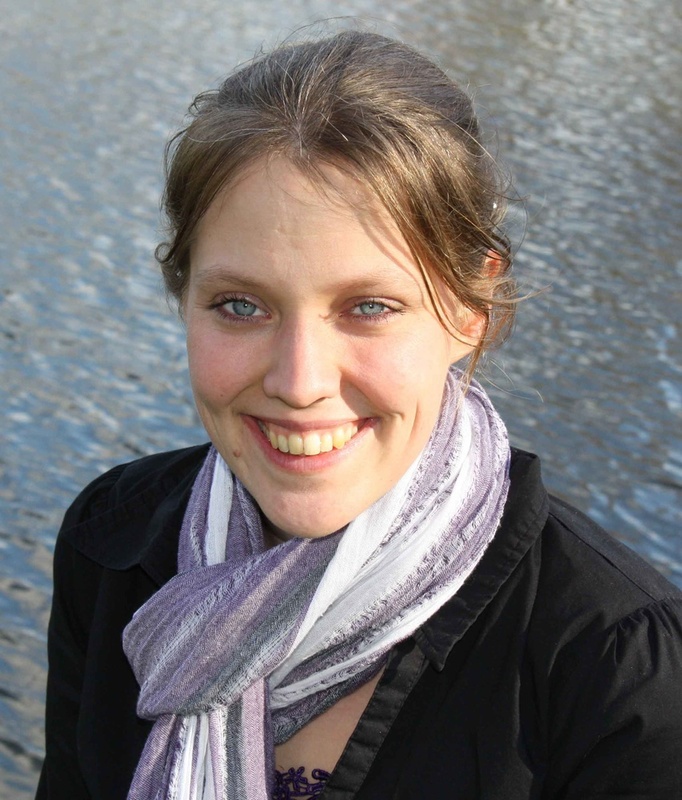 Saskia Hekker performed her work at the School of Physics and Astronomy, University of Birmingham, United Kingdom (2009-2011); Astronomical Institute 'Anton Pannekoek', University of Amsterdam, the Netherlands (2011-2013) and the Max Planck Institute for Solar System Research, Göttingen, Germany (2013-present). for his development of pupil masking and pupil remapping observing techniques, which provide a unique combination of high contrast and high angular resolution to study the immediate environment of stars. After his graduation from Ecole Normale Supérieure in electrical engineering, Sylvestre Lacour worked at The Johns Hopkins University from 2000 to 2002 as software engineer for the FUSE satellite. He pursued with a PhD in astrophysics on a project combining pupil remapping and long- baseline optical interferometry. It consisted partly in building a single- mode pupil remapping prototype instrument (FIRST), and partly in acquiring and interpreting observations from the IOTA interferometric array (Mount Hopkins, Arizona). After the successful defence of his PhD in 2007, he obtained a Lavoisier fellowship to pursue his research in high angular resolution instrumentation at the University of Sydney. He developed there a strong expertise in the emerging technique of pupil masking. Over the last years, he benefits from a CNRS tenured position at the Observatory of Paris, allowing him to work on the application of the pupil masking technique to the study of young stellar objects. As an expert in high precision astrometry, he is also deeply involved in the GRAVITY instrument for the VLT Interferometer. Sylvestre Lacour is the leading European specialist in the pupil masking and pupil remapping observing techniques. These two techniques provide a unique combination of high contrast and high angular resolution that is key to studying the immediate environment of stars in all evolutionary stages. He also developed a complete pipeline to reduce this kind of observations, which are now performed by major astronomical facilities. This effort lead to an important result on scattering dust around evolved stars and opened a new observational window on the inner structure of transition disks, where extrasolar planets are expected to form. 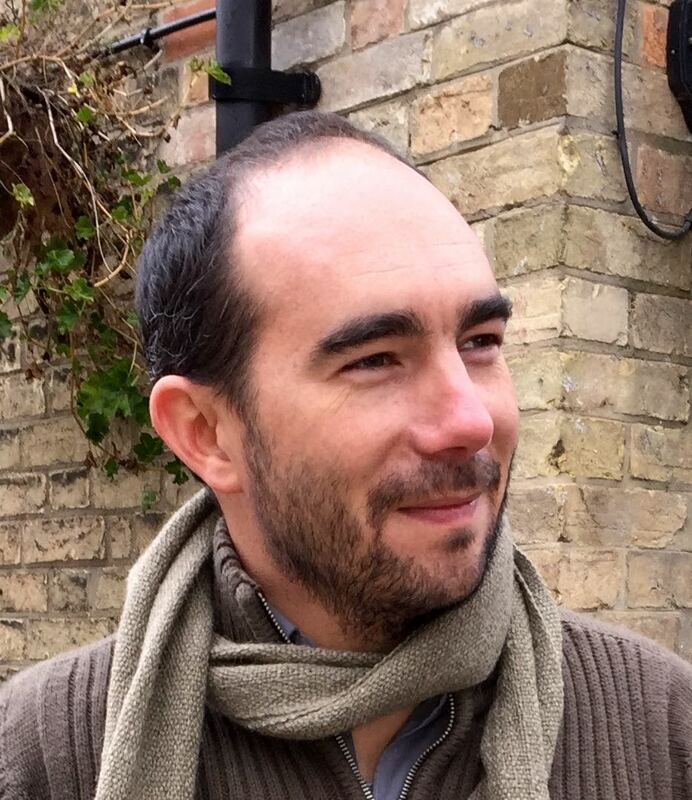 Sylvestre Lacour started working in the field of interferometry since his PhD at the Observatoire de Paris. He then fully developed the field aperture masking during the Lavoisier Fellowship at Sydney University and a second post-doctoral position at the Observatoire de Grenoble. Since 2009 he is affiliated with the Observatoire de Paris, France. Group picture of the three MERAC Prize laureates taken at EWASS 2015 in Tenerife, Spain. for her thesis on the treatment of star formation and feedback in simulations of galaxy formation. Claudia Lagos is a Chilean who gained an undergraduate degree in 2007, followed by a Master's in 2009, both at Universidad Católica de Chile. With three publications at the end of her master's, Lagos was awarded a prestigious studentship jointly funded by the Science and Technology Facilities Council and the Gemini Observatory to carry out a PhD at Durham University. Lagos completed her PhD at the Institute for Computational Cosmology in November 2012. She was awarded the Department of Physics Keith Nicholas Prize for Outstanding Academic Achievement and a Springer Thesis Prize, awarded to the three best thesis in all physics each year. She recently took up a highly competitive fellowship at the European Southern Observatory in Germany. She continues to play a leading role in the development of state-of-the-art models of galaxy formation. Claudia Lagos' PhD thesis focused on the galaxy formation model, GALFORM, which can implement essentially all existing theoretical models of star formation. Her work overhauls the two key processes at the centre of how galaxies are made: the formation of stars and the regulation of star formation following the injection of energy into the interstellar medium. These calculations represent the first real advances in these areas in over a decade. Lagos' work allows the physical predictions of the galaxy formation model, such as the content of the interstellar medium, to be confronted directly by observations from new major telescopes, such as the Atacama Large Millimetre Array (ALMA). The PhD thesis of Claudia Lagos was carried out at the Institute for Computational Cosmology at Durham University (UK) between October 2009 and September 2012, under the supervision of Prof. Carlton Baugh and Dr. Cedric Lacey. for his thesis on the discovery and characterisation of many new exoplanetary systems. 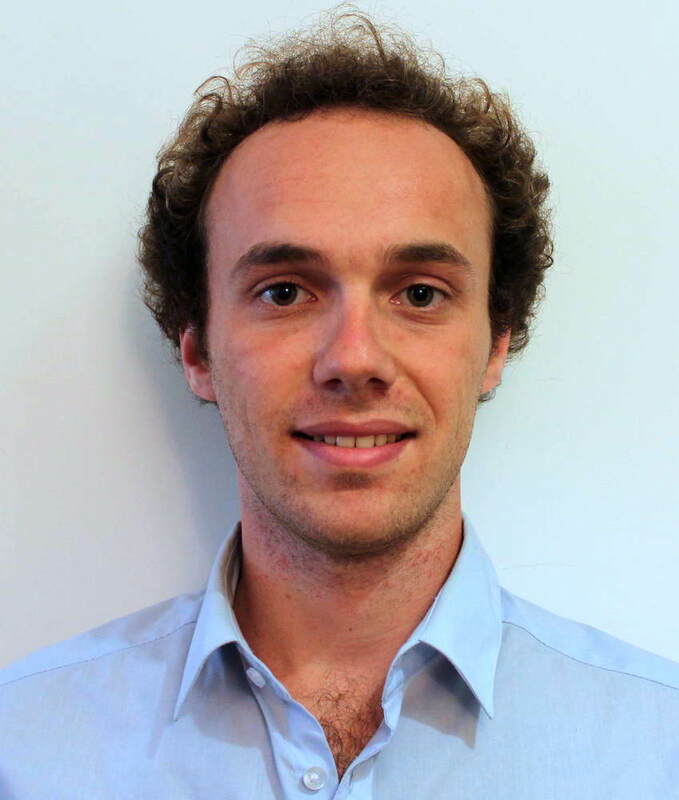 Amaury Triaud is currently doing a postdoctoral fellowship supported by the Swiss National Science Foundation, at the Massachusetts Institute of Technology, in the USA. His path is an example of contemporary youth in Europe: born and schooled in France, he then decided to pursue his undergraduate studies at the University of St Andrews in Scotland graduating in 2007 with a Masters of Physics. His summers were spent in France (2003 & 2004), Germany (2005) and Switzerland (2006) doing research internships that nurtured his scientific career and produced his first papers. He moved to Geneva in 2007 for a four-year PhD program that was completed in August 2011. The number, variety and citation rate of his publications are a testimony of his achievements during and since his thesis. He also applied his skills to the service of multiple outreach activities to bring science to the wide public. Amaury Triaud conducted the radial velocity confirmation of transiting exoplanet candidates produced by the Wide Angle Search for Planets (WASP). This led to the confirmation of 48 new nearby exoplanetary systems, which are prime targets for characterisation. Triaud chose to focus on measuring the angle between the star's rotation axis and the planet's orbit. Multiple observations using ESO's HARPS spectrograph unveiled the earliest evidence for planets on retrograde orbits and found that a large fraction of hot Jupiters do not occupy orbits coplanar with their star. Those results shacked widely held believes about planet formation and migration scenarios and triggered a flurry of theoretical papers and additional observations. The PhD thesis of Amaury Triaud was carried out at the Observatory of the University of Geneva (Switzerland) between August 2007 and August 2011, under the supervision of Prof. Didier Queloz. for his thesis on detector technologies for sub-millimetre wave astronomy. Boon Kok Tan was born in a small town (Taiping) in Malaysia. At the age of 17, he was selected to become already an undergraduate student at the University of Technology Malaysia, due to his exceptional school performance. After completing the Bachelor degree in Electrical and Electronic Engineering in 2001, he was offered a postgraduate position in Solar Engineering, and was awarded the Master degree in 2002. Following a lecturing career at Tunku Abdul Rahman University in Kuala Lumpur, he was offered a D. Phil position – funded by the prestigious King of Malaysia awards – at Oxford Astrophysics to work on the development of quantum limited coherent detectors for submillimetre astronomy. B. K. Tan obtained the D. Phil degree at Oxford in 2012. He is currently a member the Millimetre Detectors group of Oxford Astrophysics, leading the development of coherent THz detectors for the Atacama Large Millimetre Array (ALMA) and collaborates also with the Wawasan Open University, Malaysia. 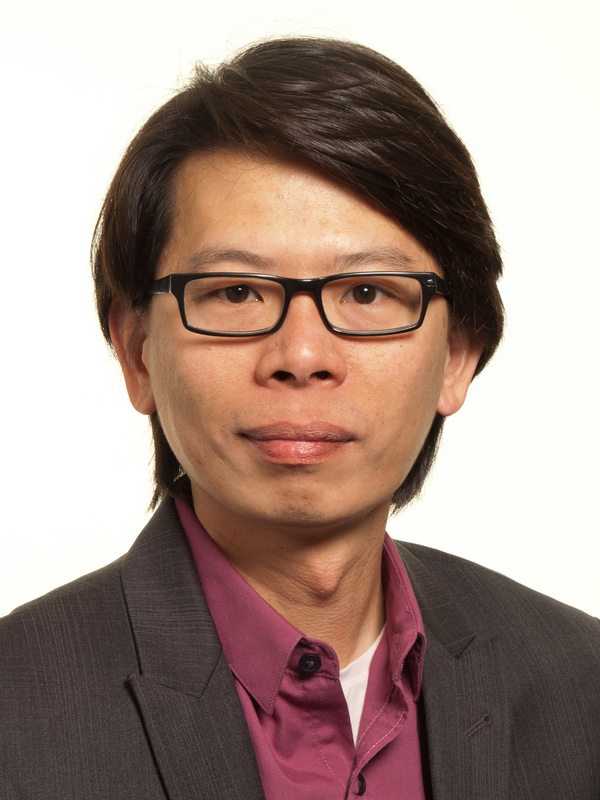 Boon Kok Tan's thesis describes the development of receiver technologies for sub-millimetre astronomy instruments, focusing on high performance coherent cryogenic detectors operating close to the superconductor gap frequency. The mixer receiver developed in his thesis work contributed novel ideas in all three major parts of Superconductor-Insulator-Superconductor (SIS) mixers. These novel detector systems pave the way into high performance THz mixers, which will have a strong impact on sub-millimetre wave astronomy. The PhD thesis of Boon Kok Tan was carried out at the Department of Physics and Astrophysics of the University of Oxford between October 2007 and June 2012, under the supervision of Dr. Ghassan Yassin. 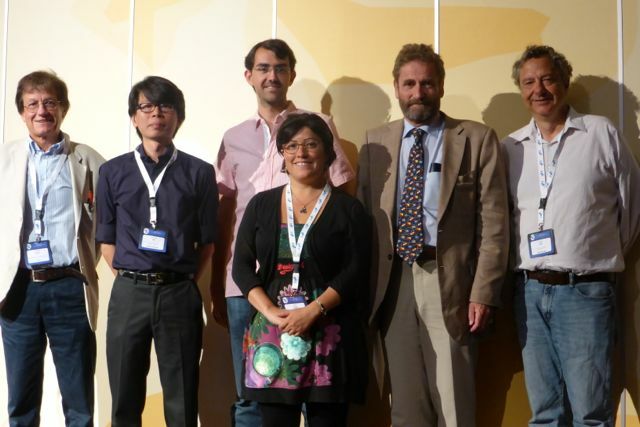 Group picture taken at EWASS 2014 in Geneva, Switzerland. The MERAC prize laureates are surrounded by Francesco Palla, chair of the prize committee (left), Thierry Courvoisier (EAS President) and George Lake representing the FONDATION MERAC (right). for her work on the theoretical modeling of galaxy formation and evolution. Gabriella De Lucia obtained a PhD in theoretical astrophysics at the Max-Planck Institute for Astrophysics (MPA, Garching, Germany) in 2004. In the same year, she was offered a 3-year (later extended to 5 years) postdoctoral position at MPA. In 2008, she was awarded a Starting Independent Researcher Grant from the European Research Council	to set up a small research group at the Astronomical Observatory of Trieste, where she moved as a Senior Researcher in 2009. She is currently Astronomer of the Italian National Institute for Astrophysics at the Astronomical Observatory of Trieste. 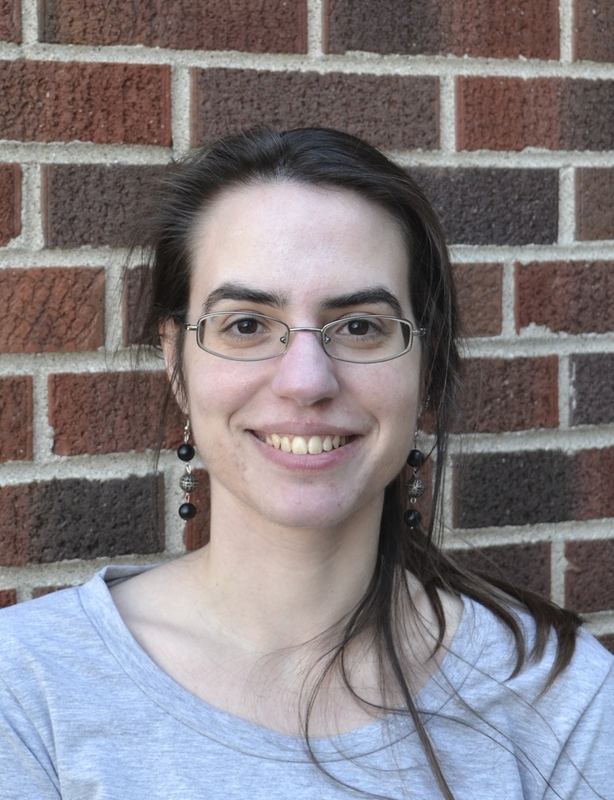 Gabriella De Lucia has made key contributions to the connection between theoretical models of structure formation and the observed properties of galaxies at different cosmic epochs. She has explored this connection using several innovative techniques, which have brought important revisions to conventional interpretations of the observed properties of galaxies. The models she has developed have reshaped our understanding of the physical processes that drive galaxy evolution, and in particular, of how these depend on the environment in which galaxies reside. for the discovery of a very primitive low-mass star in our Galaxy. After several years of work as professor in secondary schools in Italy, Elisabetta Caffau obtained a PhD in observational astronomy from Paris Observatory in 2009. 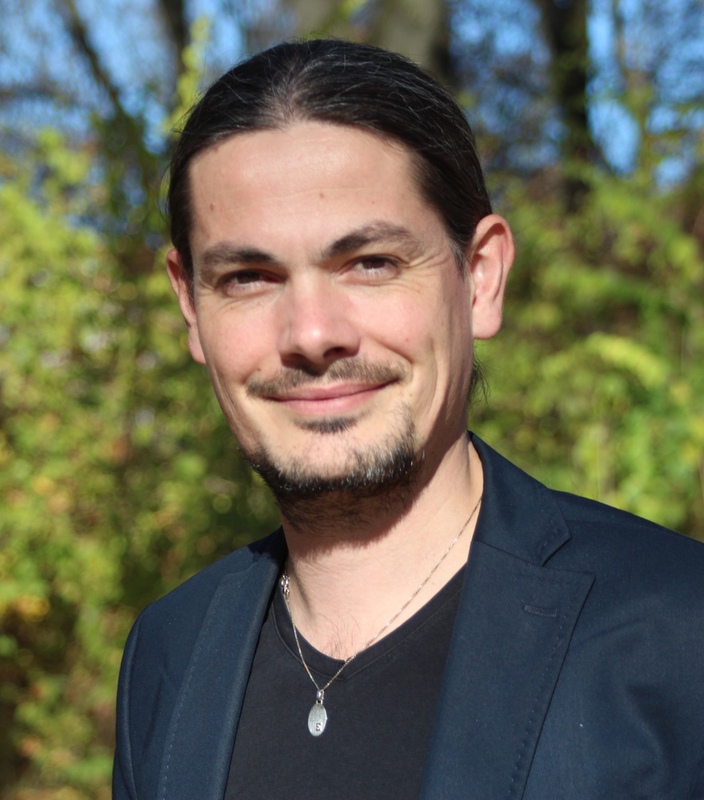 After a one year post-doctoral position in Paris Observatory, E. Caffau obtained a three year "Gliese fellow grant" at the Zentrum für Astronomie of the University of Heidelberg. E. Caffau has developed a method to obtain high precision abundances of the elements from 3D hydrodynamical computations. With the infrared spectrograph CRIRES at ESO/VLT, she measured the phosphorus abundance of twenty cool stars in the Galactic disk for the first time. Elisabetta Caffau applied her method to recognize the extremely metal poor stars in the crowd of low-resolution spectra provided by large spectroscopic surveys like the Sloan Digital Sky Survey. Thanks to this very efficient tool, she discovered in 2011 the most primitive star currently known (SDSS J1029+1729) and she defined its chemical composition. The discovery of a star with an extremely low abundance of all the elements from C to Zn, is considered as a key for our understanding of the formation of stars and chemical elements in the early history of the Milky Way. for his high-impact research in computational astrophysics and cosmology. Justin Read obtained his PhD in theoretical astrophysics from Cambridge University, UK, in 2003. After a two-year postdoctoral research position, also in Cambridge, he moved to the University of Zürich to join the Institute for Theoretical Physics. In 2009, he joined the University of Leicester as a lecturer in theoretical astrophysics, and in October 2010 he was awarded an assistant professorship at ETH Zürich. Starting 2013 he took up a full Chair at the University of Surrey, Guildford, UK. The MERAC Prize is awarded for his major achievements in the area of computational astrophysics. He has been able to improve substantially one of the two major computational methods adopted to model hydrodynamics in astrophysics, namely smoothed particle hydrodynamics (SPH). Since numerical simulations have become an essential part of astrophysics and cosmology over the past decade, often driving the interpretation of astronomical data, the impact of his work in the field is of primary importance, and will be even more so in the future. The method developed by Justin Read, called SPH-S, overcomes two related long-standing problems of standard SPH, namely its inability to resolve mixing in fluids and capture instabilities at fluid interfaces. 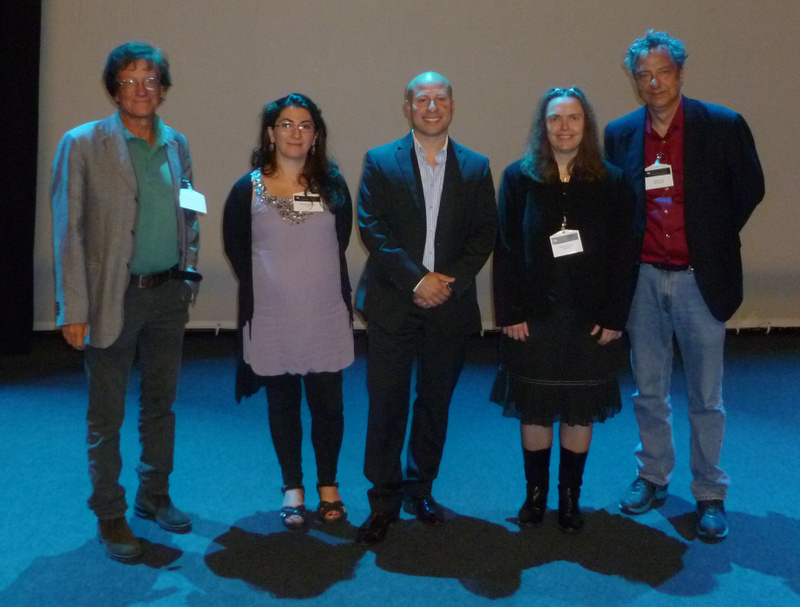 Group picture taken at EWASS 2013 in Turku, Finland. The MERAC prize laureates are surrounded by Francesco Palla, chair of the prize committee (left), and George Lake representing the FONDATION MERAC (right). 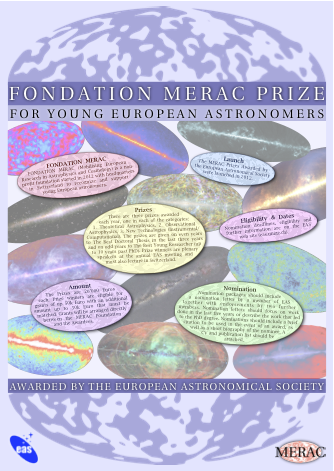 FONDATION MERAC (Mobilising European Research in Astrophysics and Cosmology) is a non-profit foundation started in 2012 with headquarters in Switzerland to recognize and support young European astronomers. It is supervised by the Federal Department of Home Affairs FDHA. 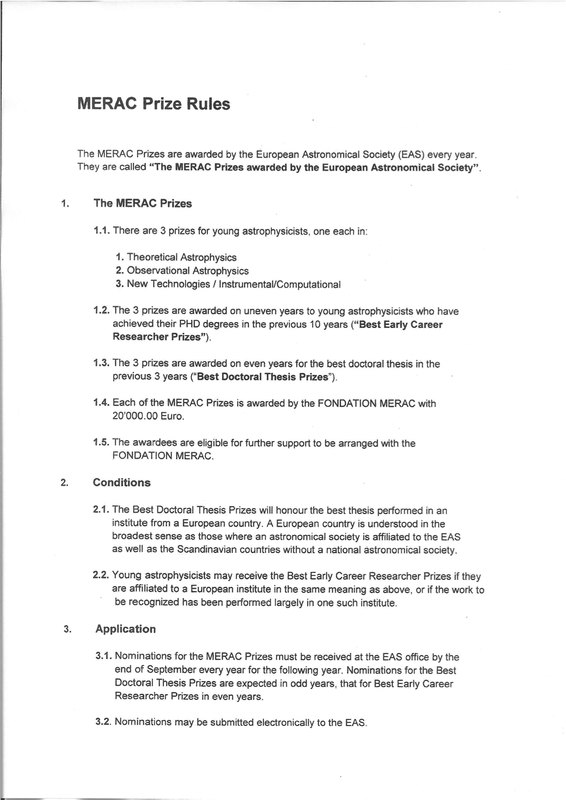 There are yearly three MERAC Prizes awarded by the EAS. Best Doctoral Thesis Prizes (on even years). The awardees are also eligible for further support from the FONDATION MERAC. The call for nominations for MERAC prizes opens in July until the end of September of the year preceding the award. Note that self-nominations are not allowed. For more information, please read the official MERAC Prize rules or contact the Webmaster.